High in the mountains of Sri Lanka, Dilmah grow their Ceylon green tea. Now, lovers of tea can enjoy the delicate taste of Dilmah’s high grown Green Tea. In 1988, Dilmah’s founder Merrill J Fernando introduced his Dilmah tea to Australia. Since then, Australians have been enjoying the taste of real tea. Single Origin pure Ceylon tea. Unblended tea, picked and packed at the source in Sri Lanka. Dilmah Tea is 100% pure and garden fresh. 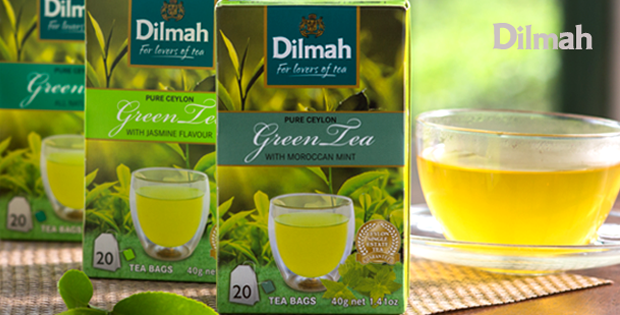 Amongst their many quality products, you can now relax with Dilmah’s high grown Green Tea. Dilmah is a family-owned company founded on a passionate commitment to quality and authenticity in tea.